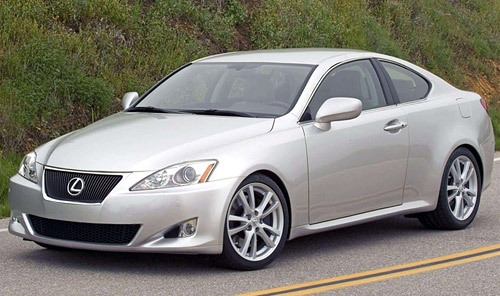 The IS Coupe is one step closer to reality, as a moderator over at my.IS discovered some trademark applications filed by Lexus in both the USA and Canada: IS 250C, IS 300C and IS 350C. These digits lead to some interesting speculation, particularly in the case of the IS 300C. The 102-hp gap between the IS 250 and 350 has long been a bone of contention, especially because the IS 250 is available with a manual transmission. Now, with this new IS 300C designation, this gap could very well be plugged with something along the lines of the 3GR-FSE V6 (from the 2006-2007 GS 300). Very good news, if that’s the case. One glaring omission is the IS-FC, though it seems more likely that there would be no differentiation between the coupe and sedan models. All in all, a very positive development.